Scream Factory Releasing Blu-Ray Steelbooks of John Carpenter Classics! Looks like we’ll all be double dipping on some more Carpenter classics. Can you believe that Scream Factory turns five years old this year? 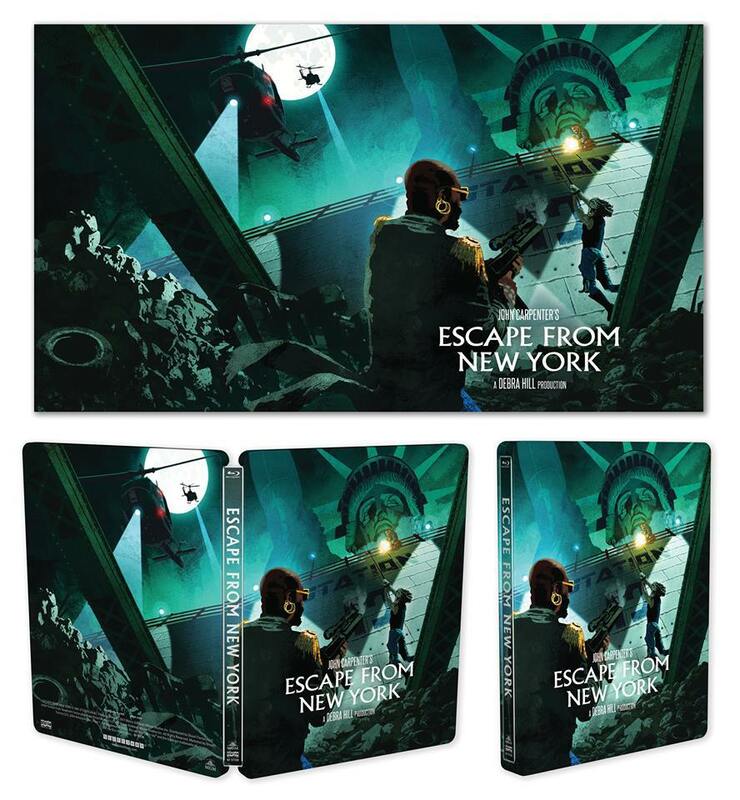 To celebrate the occasion, the company are releasing three John Carpenter films on limited edition steelbooks on August 1st, which include Escape from New York, The Fog and They Live! “It’s hard to believe at times, but our brand is now five years old…and what a ride it has been! Our gratitude and thanks go out to everyone of you who has supported our releases and continue to do so. 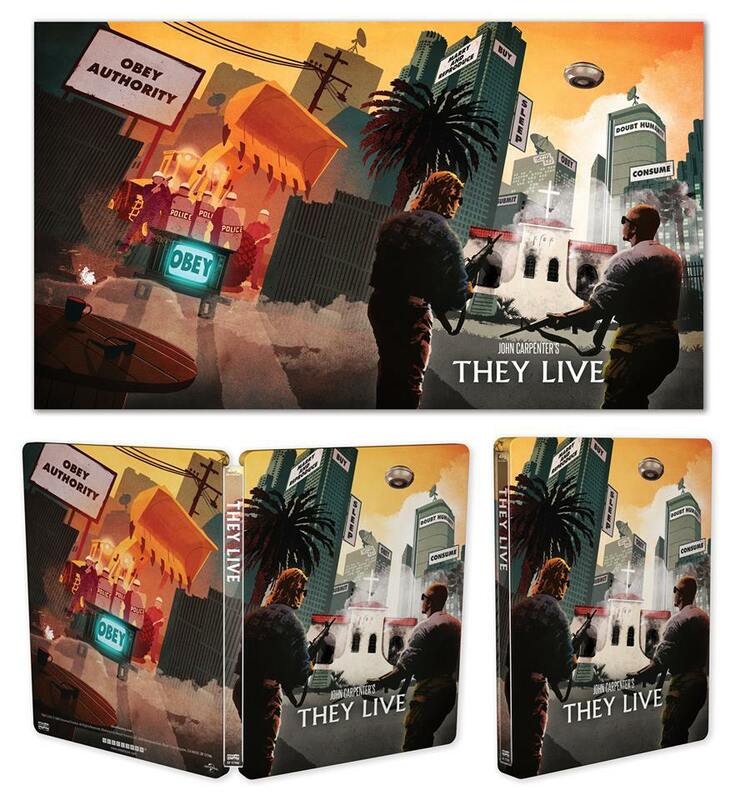 Escape from New York, The Fog and They Live are being reissued in a limited-edition Steelbook packaging. Only 10,000 of each are being produced and once they’re gone, they’re gone for good! 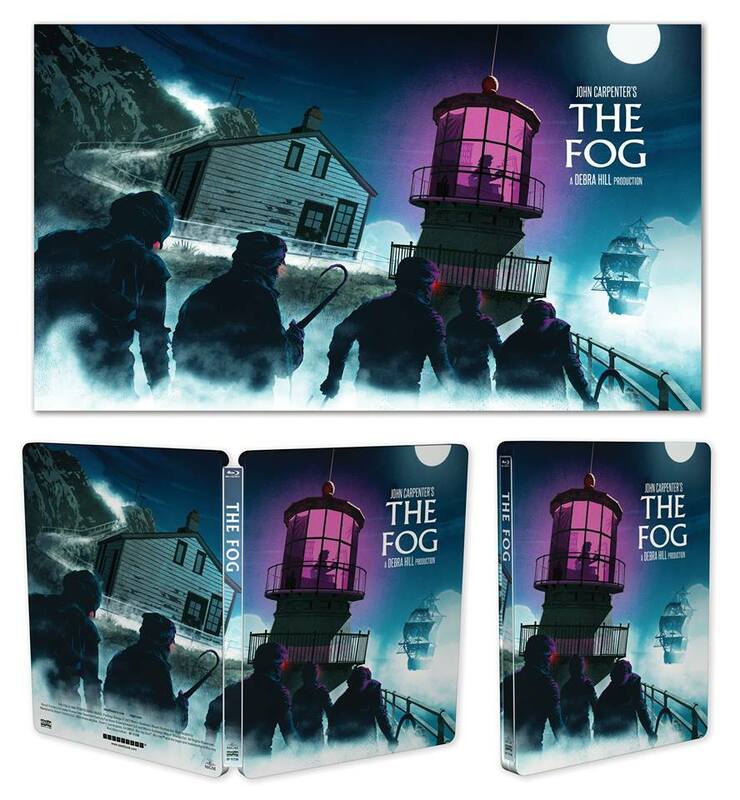 The Blu-rays included inside will have the same content (but with different disc label art) that is currently available in their respective Collector Edition releases. Each release is conceived by artist Nathanael Marsh (Carrie, The Thing deluxe piece). If you order directly from Scream Factory’s official website, your packaging will also include a 28.5” x 16.5”rolled lithograph of the illustration. Check out some awesome artwork for each individual steelbook release below. Glenn Douglas Packard’s ‘Pitchfork’ Comes to Home Video Today!